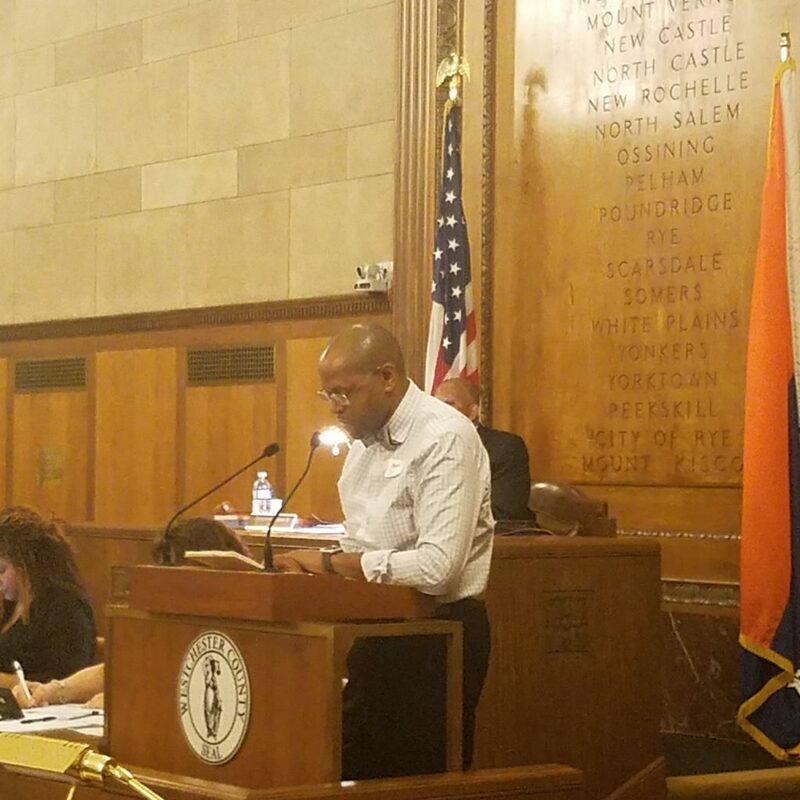 WHITE PLAINS—Several Realtors testified before the Westchester County Board of Legislators on Sept. 17 in support of the pending Co-Op Disclosure bill that would mandate cooperative boards render a decision in a certain time frame on an application as well as disclose reasons for an applicant’s denial. The testimony given prior to the start of the regular full County Board of Legislators session, featured a number of HGAR members, as well as several affected cooperative owners who have been frustrated by the lack of response by a cooperative board in their attempts to sell their units. A full public hearing on the cooperative disclosure legislation is expected sometime in October. Realtor Rey Hollingsworth of Hollingsworth Real Estate Group of White Plains, read a letter to the County Board by William Revie of Crompond, NY who complained that his attempt to sell his Westchester County co-op was thwarted by a cooperative board after contracts were signed by him and the prospective purchaser. Kyra Jones, who has lived in cooperatives in White Plains and Mount Vernon, said that while her 10-year experience was positive at her White Plains cooperative, the co-op Board of Directors at her Mount Vernon residence failed to meet with three prospective purchasers for her unit and offered no explanation for their rejections. Also testifying in support of the co-op disclosure legislation at the hearing were HGAR President Barry Kramer and Realtor John Crittenden. Kramer and Crittenden are co-owners Westchester Choice Realty of Scarsdale, which specializes in cooperative sales. He said in testimony to the County Board, that the BRI and its affiliated councils, such as the Apartment Owners Advisory Council, and the Cooperative and Condominium Advisory Council, would agree to have the county engage in a year-long study of the issues and or problems surrounding cooperatives in the county.